First, our professionals possess deep and diverse experience. Drawn from top Wall Street firms, we are known for our creativity and proficiency. We recognize that no two underwritings are identical and bring to bear a laser focus on the unique circumstances of each transaction. Second, we don’t just bring deals to market, we drive performance. Through exceptional institutional and retail sales forces, we enjoy long-standing relationships with large financial institutions, hedge funds, mutual funds as well as individual investors. This combination – a talented team of bankers and high-performance sales and trading professionals – gives us a distinct advantage. For recent transactions, click here. The document will open as a PDF. FMSbonds, Inc., a broker-dealer with 125 employees, was established in 1978 and has more than $4 billion in assets under management. Our investment banking division is the leading underwriter of land-secured financings in Florida. We have executed more than 350 investment banking transactions totaling $3.8 billion since 2009. As a top trader/market maker of land-secured bonds, we’ve executed approximately $4 billion of secondary market trades since 2009. We are active market-makers in all our underwritings. Our senior banking, institutional sales and trading professionals have decades of experience with top Wall Street firms. Key personnel are former Bank of America Securities/Merrill Lynch investment bankers from the real estate group, which led the nation in land-secured financings from 2005-2009. 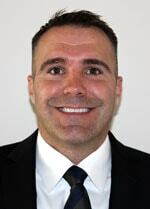 Mr. Kessler specializes in originating and structuring community development district bonds. Throughout his career, Mr. Kessler has served as the senior investment banker on more than 400 CDD bond financings representing approximately $6.0 billion in par value. Mr. Kessler established the CDD bond investment banking business at FMSbonds in 2009. From 2010-2016, the firm – among the largest privately held municipal bond broker dealers in the nation – was the #1 underwriter of non-rated CDD bonds in Florida. 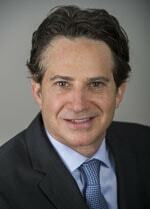 Mr. Kessler joined FMSbonds from Bank of America Merrill Lynch, where he held a variety of positions in the Global Corporate and Investment Bank from 1997 thru 2009. He also served as a Senior Investment Banker in the Public Finance Investment Banking Division, where he originated and executed land-secured infrastructure financings. Additionally, Mr. Kessler worked in the Real Estate, Lodging & Gaming Investment Banking Group and Mezzanine Group where he executed a variety of transactions in the public and private capital markets, including capital-raising and financial advisory transactions, public and private debt and equity offerings, commercial mortgage-backed securitizations and mezzanine financings, principal investments, merger and acquisition assignments, leveraged buyouts, asset dispositions, debt restructurings and rating agency advisory assignments. He holds his undergraduate degree from the University of Michigan. Mr. Viggiano has more than 18 years experience in fixed income, including 12 years in municipal finance and institutional sales. He currently works with many of the largest and most active municipal bond funds helping them finance bonds using a Tender Option Bond program, acting as Trustor, Administrative Agent and Remarketing agent. 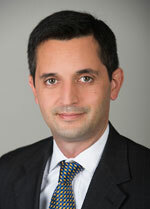 Mr. Viggiano joined FMSbonds from Morgan Stanley, where he was Vice President of Municipal Capital Markets and managed a TOB program in excess of $26 billion. He is a graduate of Marist College. 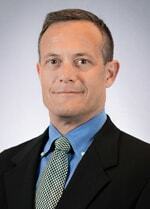 Mr. Davenport has more than 15 years experience in public finance covering government issuers in Texas. Over his career, Mr. Davenport has participated in financings totaling more than $14 billion in long-term new money and bond refinancing transactions. Mr. Davenport closed the first four special assessment financings for residential master planned communities in Texas. Further, Mr. Davenport has worked with the Texas Legislature and multiple municipalities on issues related to Texas’ special assessment law and policies. In 2004, the governor of Texas appointed Mr. Davenport to serve as commissioner for the Texas Ethics Commission, where he later served as Chairman. Mr. Davenport received his bachelor’s degree from the University of Texas at Arlington and his Doctor of Jurisprudence and Masters from St. Mary’s University as a “Distinguished Graduate.” Mr. Davenport is a registered Municipal Securities Principal and holds series 53, 7 and 63 licenses. Mr. Rivera specializes in originating Public Improvement District bonds. He has participated in more than $7 billion of negotiated par for Texas issuers, and has worked with municipal issuers throughout the state, including the cities of Fort Worth, Dallas and San Marcos; and the counties of Tarrant, Hays and Collin. Mr. Rivera served for 12 years as an Arlington City Council member. In that role, he oversaw dozens of bond deals for the city, including multiple land-secured and economic-development transactions. He has more than 20 years of experience in finance, and his background in government and finance has shaped his conservative approach to banking. In addition to his role at FMSbonds, Mr. Rivera is actively involved in civic and charitable endeavors at the national and state level, including serving as Lottery Commissioner as a gubernatorial appointee. He has a Bachelor of Arts degree in political science from the University of Texas at Arlington and holds a Series 52 Municipal Securities Representative license and a Series 63 Uniform State Law Securities Agent license. Mr. Baum directs the firm’s competitive underwriting business with a focus on special districts in Texas. 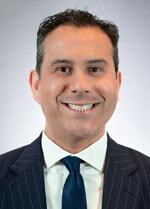 He has more than eight years of experience in municipal trading and underwriting. Before joining FMSbonds, Mr. Baum worked on the syndicate desk at Loop Capital Markets, where he was responsible for the firm’s competitive underwriting efforts. Mr. Baum received his Master’s in Finance from Texas A&M University and his Bachelor of Arts degree from the University of Delaware. 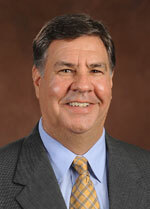 Mr. Reagan has more than three decades of investment banking and government finance experience. Prior to joining FMSbonds, Mr. Reagan was a managing director and principal with other regional and national investment banking firms. Mr. Reagan began his investment banking career serving as an underwriter and financial advisor for municipalities executing more than $6 billion of municipal transactions. Later in his investment banking career, he developed a specialization in land-based special assessment transactions for large land residential developments, commercial developments and stand-alone dormitory facilities. His experience covers a wide range of innovative financing structures and marketing of both rated and non-rated debt structures. Mr. Reagan is considered one of the leading senior investment bankers in the southeastern United States for land-based transactions, serving as lead banker for over $2.0 billion. This experience has earned him an excellent reputation with issuers and major institutional investors. Prior to his investment banking career, Mr. Reagan served as the elected Clerk of the Circuit Court and County Comptroller for Collier County, Florida. Mr. Reagan has a B.A. degree in political science from St. Leo University. He is registered with the NASD (series 7, 52, 53 and 63 licenses). ©1996-2019 FMSbonds.com. All Rights Reserved. FMSbonds.com is a division of FMSbonds, Inc., member FINRA/SIPC/Broker Check.